This type of shrinkage is often caused by variation in crystalline content and volumetric shrinkage. The following figure shows a thin rib attached to a thick top. In general, the cooling rate of the top will be lower than that of the thin section. The top will have increased crystalline content and therefore, will shrink more and cause the warpage shown. The following figure (a) shows saddle warping of a centrally gated disk with high shrinkage around the gate. Conversely, if the shrinkage is higher around the outer part of the disk, the resulting warpage may cause the disk to dome, shown in (b). Shrinkage due to differential temperature typically results in bowing of the component, as shown in the figure below. Usually this type of shrinkage is due to poor cooling system design. 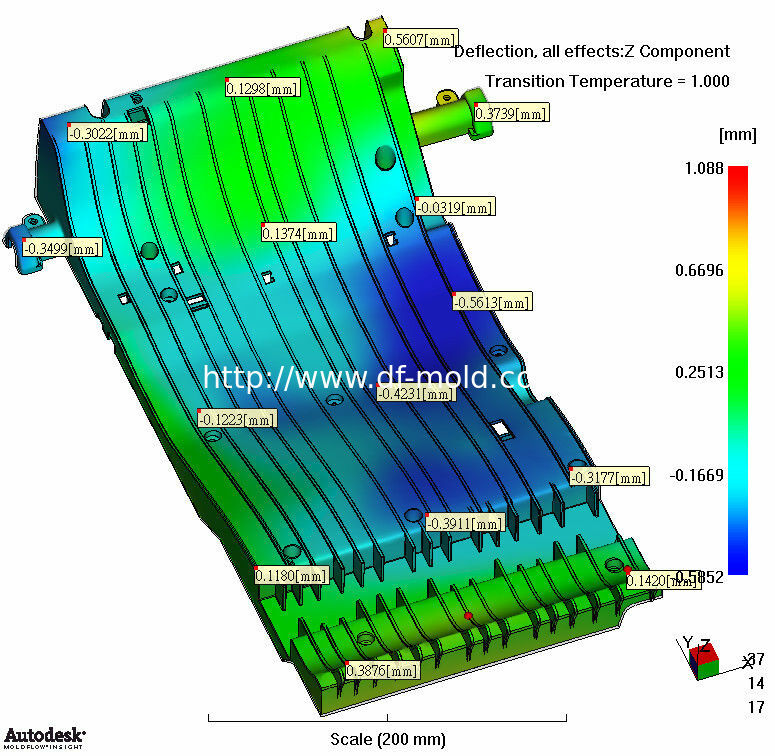 While the part is in the mold, temperature differences from one side of the mold to the other cause variations in shrinkage through the thickness of the component. In addition to this, any temperature differences at ejection will cause further warpage as both sides of the part cool to room temperature.